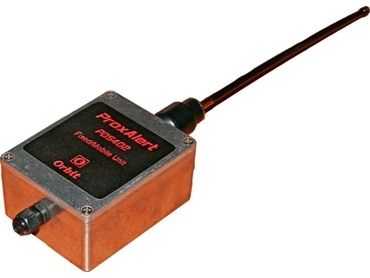 Orbit Communications has released ProxAlert wireless collision avoidance/detection system. The ProxAlert system can be used to help prevent collisions between vehicles, buildings, plant or personnel. Systems can be single zone; alarm is activated when any 2 units come within a pre-set detection zone of each other or multiple zones pre-warning and imminent danger zone for example. In addition to the main function of detecting and warning of close proximity between objects, the system can be used to send data between vehicles and main office such as vehicle management information back to main office, paging messages from main office to drivers etc. Standard ProxAlert devices have an internal real time clock and non-volatile memory for logging of incidents and data logging. Also included are RS485 and RS232 serial port to enable connection to other devices such as the optional remote monitor/control panel.